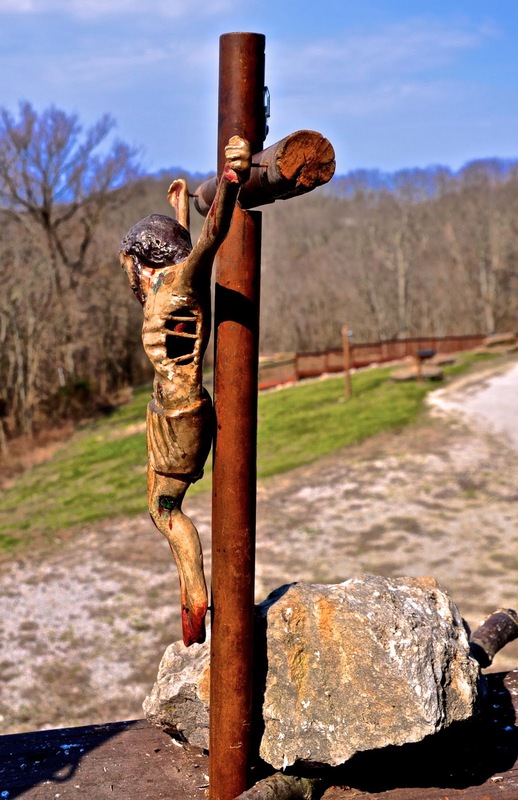 Today prior to noon, at St. Simeon Skete, we will walk and pray the first 11 Stations of the Cross. At noon, the time that Jesus is lifted up on the Cross we will remain in silence until 3 PM when we then complete the remaining Stations of the Cross. The Stations are done this way every Friday at the Skete, not only during the Lenten Season but all year. We do this devotion a bit different than the standard way said at a church. 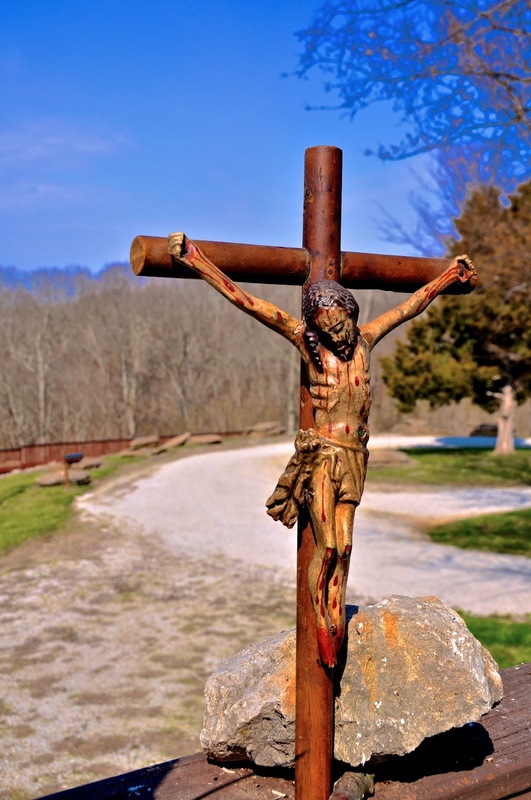 For us, it is called "The State of The Cross" rather than the Stations of the Cross. The word "state" is used rather than Station because every step, action and word as well as everything felt and done by those who took part in this tragic reality, continues to be present in its Stations. 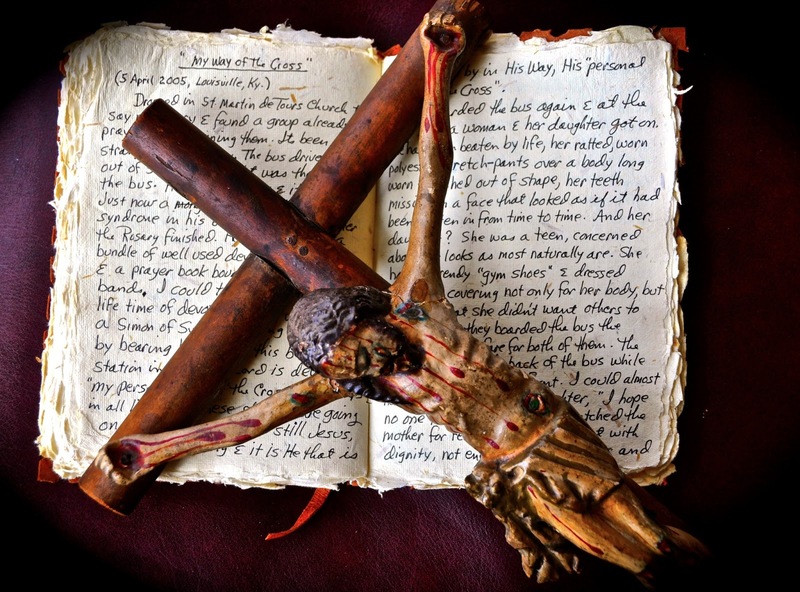 In encountering the Cross, people throughout the ages have always been confronted by the choice either of becoming Christ's followers or his executioners. "Holy Spirit, I would see Jesus"
you are placed in the tomb. 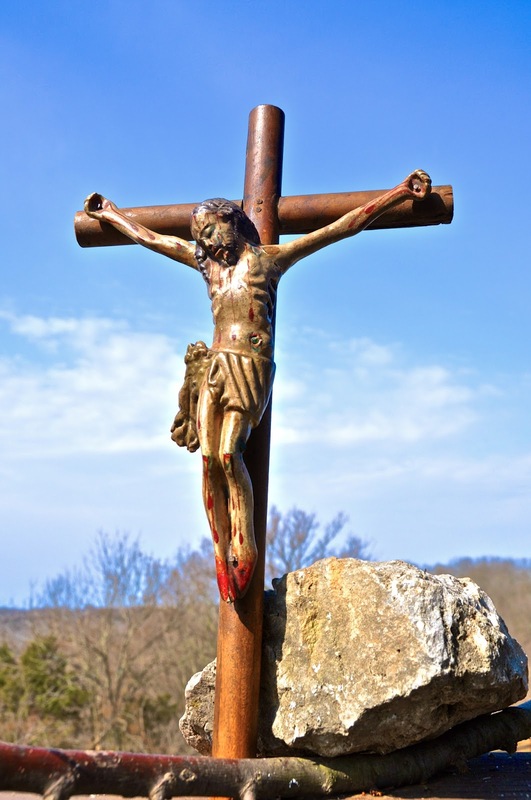 In the State of the Cross, I offer myself to the "insert first, second - whichever station you are on" Station of: "describe the action such as Meeting your Mother, etc"
R. Because by the Holy Cross thou has redeemed the world. "I go in the Name of the Lord, IAM sends me as a chosen vessel to bear His Name and you shall call His Name, Jesus"
Since we say The Stations every Friday and our practice is the ongoing study of the Way of the Cross, as we stand before each station what we have studied, what we have internalized, the versions we have read over the years come forth as we say the eleven Jesus Prayers. We use different versions of the stations, most recently a wonderful Way of the Cross written by the author, Susan Prudhomme. 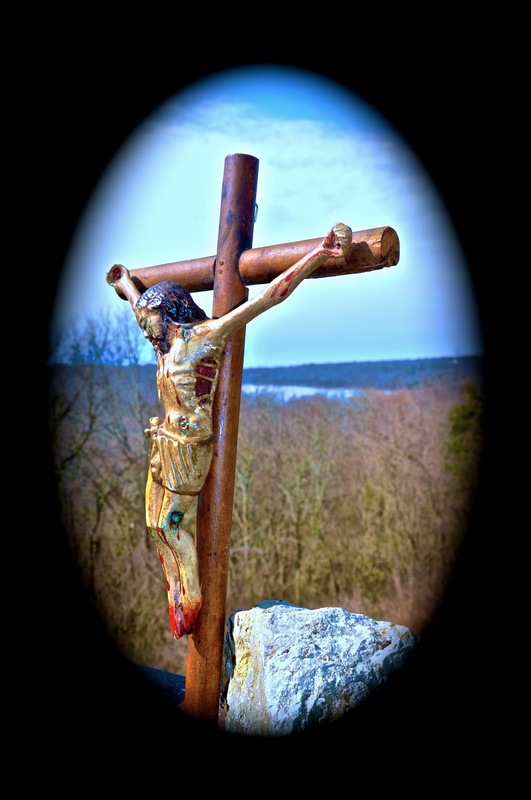 We've worked through it this Lent and now it is part of rumination of the collective stations we've taken into our hearts and recollect as we pray the Jesus Prayers at each Station.